This article was written by @pseudobyte on Bitbucket here. If one keyboard and one controller are present, Cuphead will only allow them to be different players if the keyboard is player 1. To do this, press a key on the keyboard on the start screen. 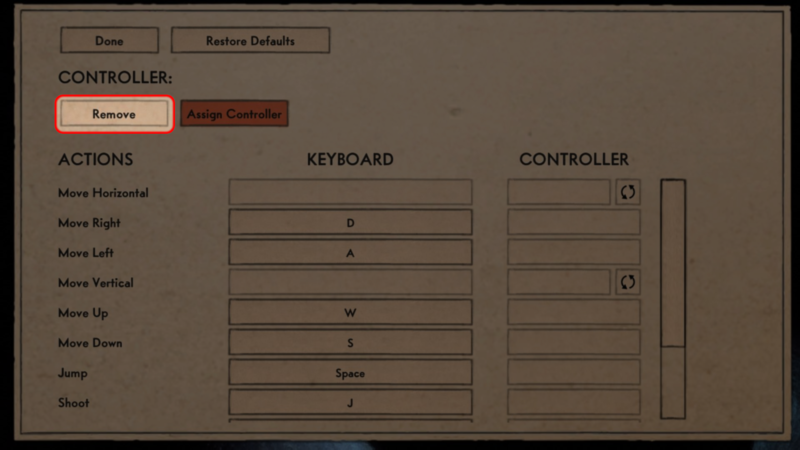 Once the player on keyboard has started the game, the controller player can join in by pressing any button. Cuphead does not have native support for two players on keyboard, so you will need to use at least one controller or emulate one using this method.